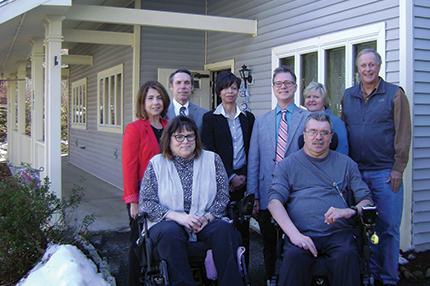 New Horizons Village recently received a $75,000 grant from the Connecticut Health and Educational Facilities Authority (CHEFA) to install 15 new energy efficient air conditioning units in tenant apartments. Temperature control is critical for residents living at the Village. Heat can affect overall health and the ability to function causing muscle weakness, fatigue, issues with vision and blood pressure. “Air conditioning is a luxury to others but it is a medical necessity to the residents at New Horizons Village. Many of us have limited mobility. At night, it is difficult to turn over or even throw our covers off when we get too hot,” cited New Horizons Village resident, Amy Tonucci.